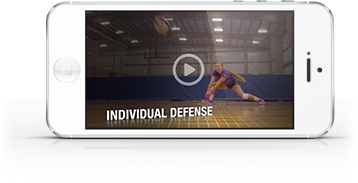 How it works: This active, cooperative ball-control drill uses just half of the court with three players lined up on one sideline facing another three on the opposite sideline. A ball is tossed to the first group which attempts to dig, set and hit it at the three players along the opposite sideline. Every player’s starting position is the sideline with hits directed either at the opposite group or the edges of the court. Variations: Blockers can also be incorporated as an extra element.